What was the first item you ever sold? It was a hat! While at college I was a morning cleaner at a department store. One morning when I was leaving the shop, I noticed a gentleman trying on a white hat and it really didn’t suit him at all. I had to tell him, as I couldn’t have him walk into the street looking like Michael Jackson. I told him we had some black ones at the back of the store, showed them to him, and took him to the cashier. The first truck I sold was a 53-plate blue flatbed 94D, to a company called Nixon Transport. I remember this because of a ritual we had here. When a salesperson popped their cherry, so to speak, and made their first sale, you took a picture of it and put it on your desk. I still have it framed in the office now. In no more than 10 seconds, why should I buy a truck from Keltruck? Keltruck has more than 35 years of industry experience, so I’d like to think that we know what we’re doing. Our sales team is dedicated and committed to sourcing the right vehicle for you. If I purchase a truck from Keltruck, what level of backup and aftersales service am I going to receive? Most of our used vehicles have been on full contract maintenance packages, so we know the vehicles inside and out, as they have been maintained by Keltruck depots. Furthermore, prior to them being made available for sale, they do have an end-of-contract inspection. So, the vehicle will go through our workshops, and any damage is rectified prior to it being made available for sale. At the point of sale, you do also get a driveline warranty cover, so that’s added peace of mind. If you were to sell something other than trucks, what would it be? Well unless it was for scientific purposes, I don’t think I could sell my body! To sell something effectively, I believe you have to have a passion in selling it. I like football, and with the great fees that football agents command, it would be great to sell the next Ronaldo from Dudley Town to Real Madrid. Where does Keltruck get the bulk of its used truck stock? The bulk of our stock comes from ex-contract vehicles. That’s advantageous to us because we have maintained them, so know their histories. We go to market to buy vehicles, too, and also take in part exchanges. Salesmen are known for their persuasive nature. You have a freezer full of ice that you want to sell, when the phone rings. It’s an Eskimo! How does the next conversation go? Well I’d start off by reminding the Eskimo that due to recent Inuit planning regulations he can now build that dream extension on the side of his igloo that he’s always wanted. And I can certainly help him do that. Maybe his wife is on his case for a garage too. I could wholesale sell him my ice-cubes for his extension needs. Tell us your favourite (printable) joke. Which Spice Girl can carry the most diesel? Gerry can! What is the secret to building a good relationship with customers, and ensuring repeat business? With regards to customer relationship, it’s two things: honesty and communication. ‘Salesman’ is often seen as some sort of dirty word, conjuring up images of someone who is dishonest and trying to mislead them in some way, or using sales patter. But that’s not me. It’s so important to be honest from the offset, and that’s what I tell my guys, too. As for communication, when we sell a truck to somebody, we will outline what we are doing from the start. If we keep them up to date with everything, then the deal will go through fine. It’s not exactly rocket science. What does the future hold for Keltruck, and the industry as a whole? Let’s start with the industry as a whole. With the roll-out of Euro-6 in the London Low Emission Zone (LEZ) it is important to make sure that we have the vehicles to supply to our customers. And then going forwards, as they introduce more LEZs in other cities, such as Birmingham and Manchester, we need to make sure that we have a healthy stock of those vehicles available. With the technological advances we have seen over the past 10 years, it is interesting to see where we will go in the future. There’s talk of driverless trucks, electric and hybrid drivelines, and it’s really interesting to see where we will go with that. 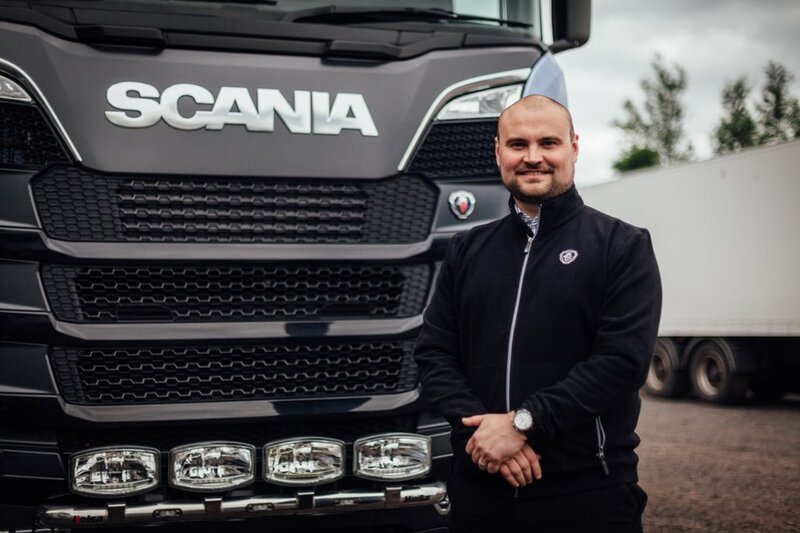 With regards to Keltruck, we want to make sure that we are here for at least another 35 years, and to do that we are committed to ensuring that we provide a high level of service to our customers and supply the right vehicles to them. Personally, for me in used sales, I’d like to expand our Cross Hands and Newark operations, and if the boss will let me, perhaps open somewhere overseas for export too – ideally somewhere hot with a pool! Do you still get your hands dirty, and sell trucks on a day-to-day basis? Yes, of course. It’s always important for me to be accessible to customers, even if that means replying to emails at night, much to Mrs Gough’s annoyance! We do have regional guys too. 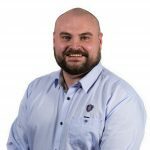 There’s Dai Evans covering Wales, and Russ Barnes at our new Newark site, and of course there’s Adam Freezer who works alongside me here in West Brom. But yes, on a day-to-day basis I’m out in the yard, getting my hands dirty. How do potential customers get in contact? 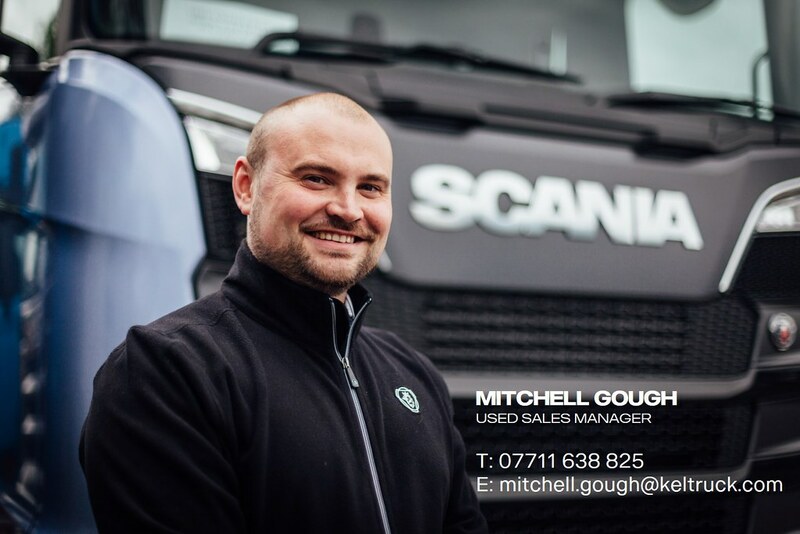 If you would like to get in touch with me or any of the team at Keltruck used sales, please call us on 0121 525 7000 or visit us at keltruck.com.